Effortlessly Being yourSelf Is a book that takes you step by step back to your natural state of being, in which life is no longer about securing the safety of your identity, struggling with nasty feelings and grabbing what you think will make you happy. 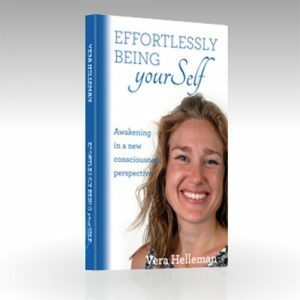 This book is about relaxing and effortlessly being your true self so you can live to your fullest potential. 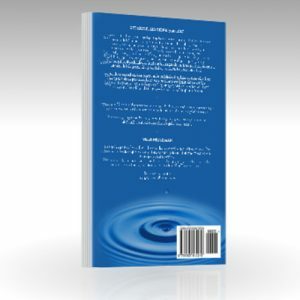 It will leave you rocking on your fundament and will open you up to a world of wonder, thankfulness and enthusiasm about this present moment, in which life gains the possibility to form to your true Self. This book is based on the previously published online course which in one year’s time put hundreds of people at awe and let new light shine on the relationship you as human have with yourSelf, with the other and with the material world and what people call a ‘calling’ or mission. “I can truly say that I’ve never met anyone who can explain such difficult content in such a simple, clear way”. Four months after the date of publication in The Netherlands we have launched the English translation. With almost no publicly fame we begin a whole new adventure. If it will be carried by a higher forse like in The Netherlands it will be a succes in the English speaking countries as well. We keep you posted!